Totally tired of the treadmill? We don’t blame you! The treadmill can be a great way to get in your guaranteed calorie burn, but after a while both your brain and your body get bored. Squeeze in a quick mile with this indoor power walking workout that helps prevent joint strain by mixing up your moves while working out in a small space. Short on time but really need to get the most bang for your workout buck? This quick, but effective circuit features plyometrics (or power) training moves to help improve your bone density, power, strength and agility, and not to mention, give you a greater calorie burn. Save your cash and skip the gym equipment – this workout can help you burn more calories than the treadmill and work tons more muscles in the process too. Amp up your cardio routine with this fat blasting, metabolism boosting workout that is easy to do at home in a small space with no equipment. This quick, efficient (and kinda fun!) cardio workout can be done with or without impact in a small space at home. And not to worry, this boot camp workout does NOT contain burpees, squat thrusts, or any floor work! Blast off fat AND work your abs with this two-in-one core calorie burning special! This high intensity interval cardio workout incorporates core toning in between moves to maximize your workout time and speed up results (lower impact options are shown). Get ready to have a ball with this fun, 30-minute cardio session that mixes things up with the use of a small ball during the workout to amp up the moves and help you burn more calories in less time. Give belly fat a one-two punch with this cardio kickboxing abs workout! Blast off more calories by working more muscles at once with these core-centric kickboxing inspired moves! 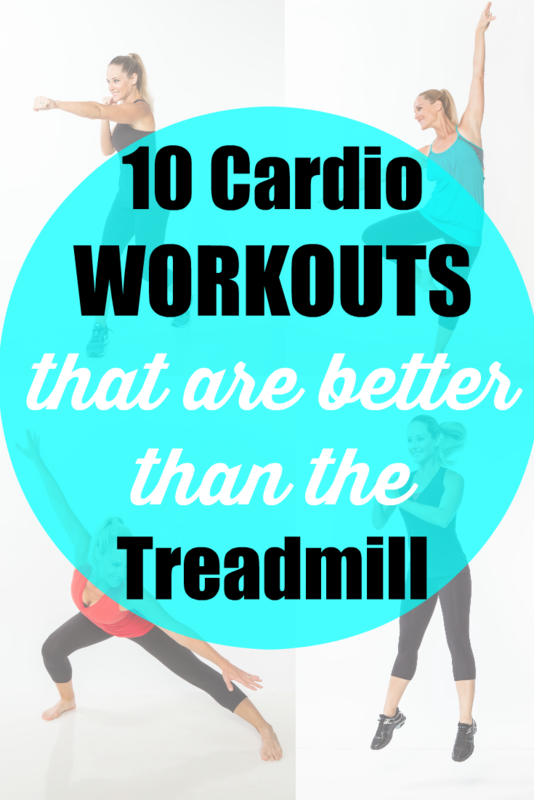 Cardio doesn’t have to mean loud, joint jarring moves! This non stop low impact card session keeps your heart rate up (and your downstairs neighbors happy) and is gentle enough to be done barefoot – but you’ll still work up a good sweat! Need a cardio workout that you’ll actually look forward to doing? Try this unique routine that is designed to help you burn fat without the impact (or shoes!). OK so this one offers more than just cardio – but if you want to blast off fat in a major way, try this non-stop, high intensity interval training strength circuit that’s designed to boost your metabolism around the clock so you’ll burn more calories even while you sleep! Looking for more options? You could try a high intensity sport or even attend Los Angeles Tennis Lessons! Be sure to subscribe to our YouTube Channel and check out our “Walk On: 5 Fat Burning Miles” DVD or quit the gym completely and get our complete “Ultimate Workouts for Weight Loss” Collection for more ways to keep your fat burning cardio sessions fresh and fun! Have to take a minute to thank you so much for your amazing simple home exercises. You have a great presence and very inspirational, Im totally addicted. Do your exercises 3 times a week, after hard gruelling days at work. You are the best Jess!! just in case you haven’t heard it lately, there is no one like you out there! you inspire me like no other! there is something special about you, and it just motivates people! thank you a thousand times for all you do! and cannot wait to see the new workouts that you have for us! God bless you Jessica! we love you! Awesome workouts Jessica… These workouts are definitely challenging and worth every minute of hardwork. Awesome. Just awesome. I’ll bet you could get even better results from the treadmill with the varying moves, styles and muscle groups. Jessica, you are an inspiration.